The demographic area for a House of Bread Bakery should be a town with a population of at least 40,000 people within the city limits or an area with over 80,000 people within a five mile radius. When serious franchise discussions begin, you will be furnished with a disclosure document. Generally, how fast you achieve your financial goals depends upon many variables but mostly it depends on you. House of Bread is a bakery cafe concept. 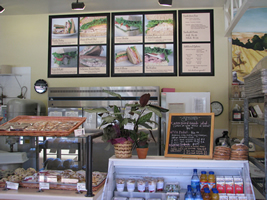 We focus on using the finest ingredients to produce the most delicious and nutritious bakery cafe items. The factors that are attributable to the success of the concept are excellent product quality and customer service provided in a convenient retail setting. A "fresh" message is naturally conveyed by the open production site, the sweet smell of bakery goods and the enjoyment of samples of hot bread out of the oven. 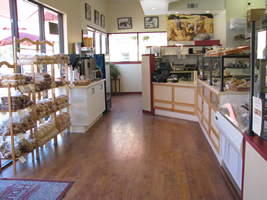 Since 1996, we have been baking bread the way Grandma made it by hand, fresh, and naturally. Our lunch offerings carry the same standard of high quality natural ingredients to produce the same great taste guarantee. For our deli meats, we use Boar's Head Premium Meats. Total initial start-up costs are approximately $250,000, which can vary depending upon whether new or used equipment is purchased. Also included is the franchise fee, travel, training, location selection, site build out, point-of-sale information system, equipment purchase, initial supplies and ingredients, organizational expenses, signage, pre-opening promotion and working capital. We do not provide direct financing. However, we do provide assistance with financial projections, business plan designs, and lender negotiations. House of Bread Franchising has planned for responsible, managed growth by building a network of intelligent, hard-working and honest franchisees who enjoy making great bread and offering quality services. and an application please fill out the request form. House of Bread is only accepting inquires from the following states:AZ, CA, CO, CT, FL, ID, IA, MI, MT, NE, NH, NM, NC, OH, OK, OR, PA, TX, VT, WA, and WY. Please no inquiries from outside the United States. Interested parties should have at least $100,000 to invest. 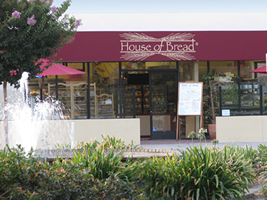 Click on Request Information for FREE info on how to open a House of Bread franchise today! Please Note: This House of Bread franchise opportunity and other franchise business opportunities, businesses and franchises for sale on this web site are not to be considered as an "offering", "franchise offering", suggestion or recommendation by Franchise Leader™. This advertisement depends entirely on the truthfulness of the information provided by our advertisers which includes, but is not limited to, franchisers, franchise brokers, franchise consultants and business brokers. Franchise Leader™ recommends that you consult a lawyer, financial consultant, accountant or professional advisor before buying a franchise or business opportunity or any type of business. By using this form or any part of our website, you have agreed to all terms and conditions of Franchise Leader™. Please review our Terms & Conditions for more information.